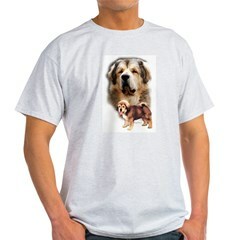 Different breeds and styles available from CafePress. Most styles come in a selection of sizes and colors. Enjoy! A cute b&w Border Collie drawing done in a japanese cartoon style. A truly unique gift for dog lovers, sure to please anybody that owns this fun loving breed! 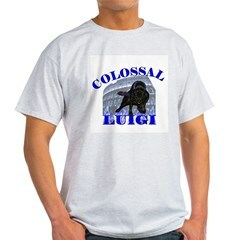 Colossal Luigi is the muscle behind this design, this dynamic blue design is almost as impressive as the dog himself! Ask me about my Bernese Mountain Dogs! Best of Breed Golden Retriever in the show ring. 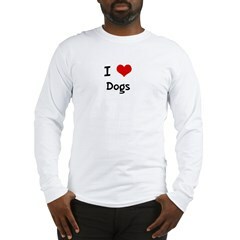 Do dogs seem to love you? 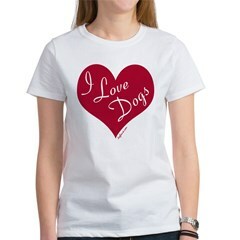 You'll appreciate this cute Dogs Love Me design! 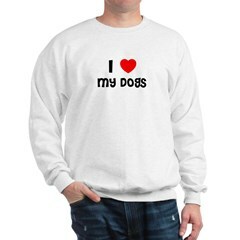 Do dogs seem to love you? You'll appreciate this cute Dogs Love Me design on dog Tshirts, hoodies, mousepads, mugs, and other items! 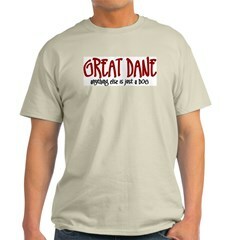 If your parents love to talk about their Grand-Dachshund check out this saying: Ask Me about My Grand-Dachshund. Great gifts items for father's, mother's day, birthdays or any holiday. Are you addicted to your cattledog? 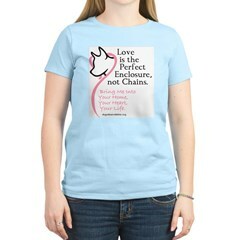 Wear your addiction! 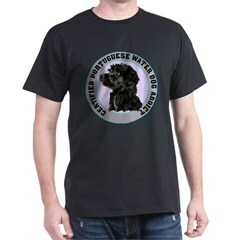 Let the world know how much you love your ACD! Find the perfect item to show off to your Australian Cattledog friends or give as a gift! 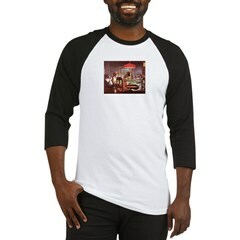 Baseball Jersey available in a choice of colours featuring the head of a black labrador puppy dog on front, plain back. An ideal gift for any lover of Labradors, features the head of a black Labrador puppy. You know exactly who runs the house. The dogs do. And now everyone else knows too! 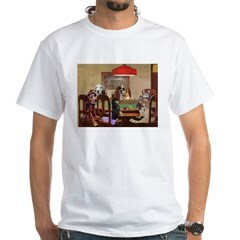 Funny poker palying dogs make a great gift for the pet lover on your list. This version even has a kitty in the game. LOVE ME? LOVE MY JACK RUSSELL TERRIER! 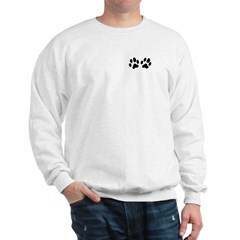 A great heartfelt unique design that would make a great gift for Jack Russell Terrier lovers. 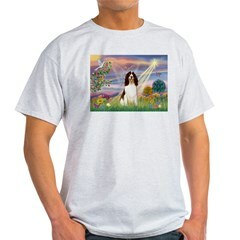 Cloud Angel, a digital design with a liver and white English Springer Spaniel. 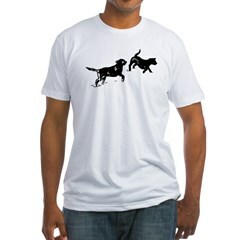 One Bullmastiff is never enough t-shirts, stickers, apparel and gifts for have or want multiple of one dog breed. Can there really be a life without a Basset Hound...Humm. If you can't imagine one then express your feelings with this section's saying: Life Without My Basset...Can There Be Such A Thing? Puppy paws, paw prints no matter what you call it they are cute. Great gifts for any dog lover. One Schipperke is never enough! Lean on Me is an original design by Artist and Designer Kelli Swan. Giant letters that spell English Setter DAD to match this dog breed's giant heart. 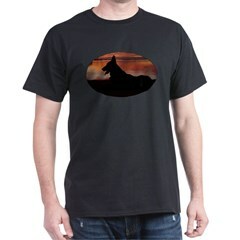 Includes a beautiful full body shot silhouette of this wonderful dog breed. 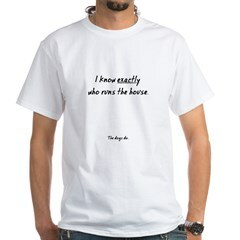 Your Beagle is a part of you so let people know you are a team with this Love Me . 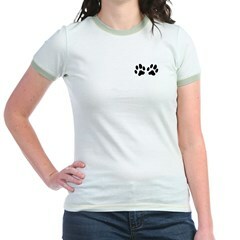 . . Love My Beagle design. Oval/Euro Dachshund dog breed design. You know that your breed is special and that all the others are just dogs. 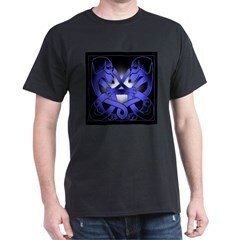 If so, this is the design for you! A stunning display of Black Pug Patriotism. The Black Pug Icon is a symbol of strength and freedom around the world. 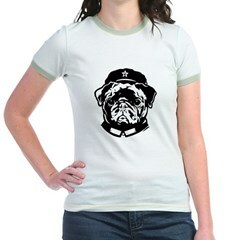 Obey the Pug!